Can you re-code for 1.8 plz? Even alpha will be ok, i need only spells. mod = dead or BIG update? Yep, complete rewrite is on the horizon! it'll be a while before it's out as im still going through the process of learning forge but i can promise you the new version will be a lot better! Please keep up the good work, this mod is awesome! Well, AM2 as you know it is dead. there is one guy who is updating it to 1.12, but as the newer versions go, 1.13 will probably be out before he finishes it. And you have heard correct, modders are finally updating to 1.12... mostly. quite a few have just given up. While its no where as glitchy as 1.8 it is still horribly optimized. but its not going to last, mojang doesn't understand moding in the slightest and is changing minor thing every update causing modders to re-invent the wheel every other update. It's strange thought. I remember a long way back when I ran a server on my local computer (which I also played on). I had Mo's Creatures, IC2, Buildcraft and more. It all worked well even with over 10 players and myself. Nowadays that would have lagged in sp even thought my computer is three times more powerful. Hi @Mithion . 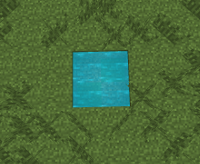 In lastest 1.7.10 version, shapes like beam or touch hit grass even withou target non-solid blocks. Can you please update for 1.7.10 to fix thisannoying behaviour ? Also liqid etherum does not act like liquid at all. Thanks. Hello, I'm sorry for mistakes in the text, because I'm from Russia and I do not know much English. 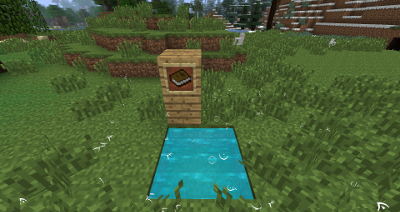 Will you make this mod on Minecraft version 1.12.2 (or 1.13)? this makes me NEVER want to use this mod EVER! I'm just curious, how can someone make a mod for a video game, video A.K.A., game that takes place on a screen, with the visual, moving components as the primary focus, hence video, and not care about Textures? I mean, that's a good portion of the game itself, let alone a mod that makes changes to said game to enhance it. How can you be purporting to enhance a game if you don't include the visual elements of the so called "enhancement"? I don't think that's possible. Hell, even a board game, a party game or straight up card game like Poker or Go Fish has a visual component! If you don't want to make games or mods for games that have a visual component, why don't you just make some kind of Braille-based game for blind people? Then you won't have to worry about those pesky textures ever again! That was put up there as a way of Mithion say he does not care about the complaints about his change. not that he doesn't care about how they look, but that he doesn't care what you think. Furthermore, what is with all the dramatization with a complaint that is out of context, for a problem years old, on a mod that is for all purposes dead until a completely outside party makes AM3?